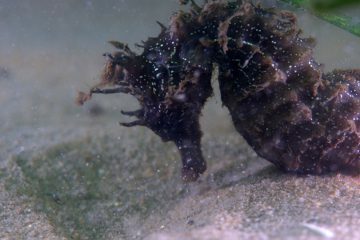 Hidden in seagrass beds of the Mediterranean and the Atlantic, the seahorses and Syngnathidae of France live a complicated life. 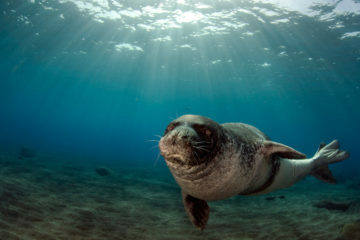 Ironically, these icons of the marine world have always been largely ignored by the scientific community. It is urgent to study a family of fish that is today struggling in most places around the world. The island of Lampedusa is famous for the stories of migrants who risk their lives to reach its European soil. 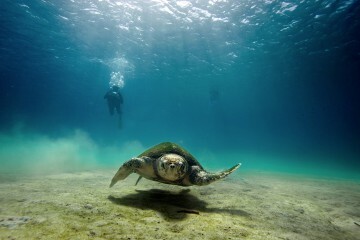 But this isolated rock holds a secret: a very special clinic helps to save hundreds of injured marine turtles. What may seem like a drop of water is in reality a necessity for the survival of the Mediterranean. For the pilot project, the Octopus Foundation chose to study the zone where a British fighter plane was shot down by the German artillery on the 19th of July 1944. 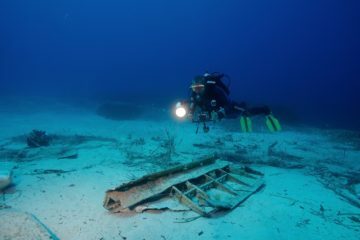 To look into the underwater area next to the coast of Cephalonia, in Greece, the crew used many different techniques. Today, the end result is that anybody can follow us deep underwater to understand what really happened that day.